In the game of life, being a player can be very satisfying. We get to feel the excitement of the highs and lows, we can sometimes change the outcomes by applying more effort and focus, we can grow and improve, we feel pride and passion, and we certainly enjoy the victories. It’s not surprising that being a player is how most people choose to live. Being a coach feels less fun – more work and less excitement. But to become a coach we don’t give up being a player. We simply add coaching as a new layer. What we’re talking about is simply adding perspective – instead of simply living life in the fray, adding the viewpoint of a strategist. Most people do improve their lives over time. They work very hard, and they do become better, and thus realize better outcomes. But it’s less common for people to shift perspective to become their own coach, and that means no matter how well they play, they will always be playing the game the same way. Life as a player can also be stressful, frustrating, limiting, and frankly has a tendency to consist of marching along day after day without much purpose. Of course some players are better at this than others. Some hone their skills, some get lucky bounces or a weak schedule to play against, while others face tough opponents every day, or make things tough on themselves by failing to improve their skills. But the fact remains – all a player can do is play better, they can’t change their strategy. They can’t see their weaknesses clearly. They don’t play the long-term game. They can’t see how the pieces fit into the bigger picture. In short, they can’t really change the game. When we become our own coach, we play the game quite differently. First off, our goals shift – they become long-term. Second, we look at the bigger picture, often beyond ourselves, especially how to best work with others and how to effectively defend against opponents/obstacles. Third, we can objectively see our own weaknesses, and can go about making improvements with precision. Fourth, we gain distance from emotion, which provides clarity for better decision-making. And lastly, we focus on practicing the fundamentals, knowing that when we do the little things right every day, it pays off big when it matters most. Let’s unpack these in a little more detail. As a coach we play for championships, not just wins. Of course wins are important, but often the decisions that go into becoming a champion are very different than the choices made to eek out an individual win on a particular day. Resources are managed differently, effort is balanced, setbacks are looked at as ways to improve long-term, and errors or injuries – physical or otherwise – are dealt with in a methodical, more comprehensive way. It’s always about balancing the desire for short term wins with achieving long term victories. A real world example: Our spending choices are good examples. The smartest spending choices are both investments for the future and short-term comfort and pleasure. They include a well-maintained car, health and fitness gear, books, good quality tools, appliances and electronics, etc. These can be things that bring enjoyment (wins) today, but also allow us to get better for the future by allowing us to travel, commute, learn, create value, help others, and so on. On the other hand, spending money on nick-nacks and wine and jet-skis and coffee and pizza are not good choices. Those are short term wins, and long-term losses. The same goes for buying low-quality items, or not buying certain things in bulk. These choices ‘save money’ short-term but cost more in the long run. This is where small decisions can easily add up to thousands a year, and tens or hundreds of thousands of dollars over a lifetime. This is actually how decisions about something as mundane as paper towels end up being very impactful. It’s simply a matter of looking at it with a longer-term view. But it won’t happen if you’re just a player. Players are too busy playing. Coaches on the other hand are always looking for small edges like this – simple decisions that bring long-term success. As a coach we’re able to see the bigger picture, not just our own play. We can see more clearly how our behavior affects those around us, and vice versa. We are able to help others much more effectively, and magnify our own benefits and results by leveraging the power of things like gaps, niches, common ground, opponents’ weaknesses, and the interplay of a wide range of factors including key things like money, relationships, energy, and time. A real world example: Negotiation is a learnable skill that most people do not bother to learn, primarily because it takes looking at multiple sides of a situation – an outside point of view. Learning to negotiate even small things in life pays tremendous dividends, not just in saving money, although that’s a very real and significant gain. More broadly, negotiation skills are useful in building stronger relationships and partnerships, avoiding difficulties of all kinds, uncovering hidden opportunities, and helping ourselves and others find creative solutions to problems. Picking up a book or two and learning some basic negotiation skills is well beyond most players’ scope. Typically it’s only done when necessary – to help resolve a short-term conflict/negotiation legally or at work. It’s a skill rarely developed by anyone as a life skill. A coach recognizes that a skill like negotiation is invaluable as part of playing the game with acumen. As a coach we’re able to honestly assess our own performance, particularly pointing out our own weaknesses. This is a vital skill for improvement, and is nearly impossible for a player to do at a high level. Of course a player can detect their own shortcomings and work on them, but at a very limited level, and typically only in the short-term. Players rarely have the ability to accurately see the full range of their own shortcomings and blind spots. Only the purely objective coach’s view enables that kind of analysis. It’s one of the most important functions of the coach. A real world example: Most people avoid the doctor if at all possible. And this goes beyond an annual visit – as most people generally avoid looking at a comprehensive picture of their own health. However, they’ll happily dabble in a wide range of diets and exercise programs, and love to cite articles about cutting back on coffee or red meat. But typically the effort stops there. Dabbling is not a big deal when we’re talking about learning chess or how to use an iPad. But it’s a pretty giant mistake to dabble in a matter as serious as our own physical health. Most people simply don’t take it seriously until it gets serious. 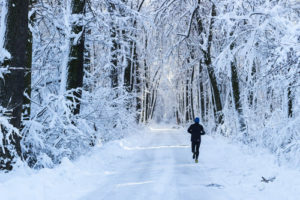 Coaches see it clearly, and that’s why they take it very seriously – emphasizing comprehensive nutrition, conditioning, performance and maintenance, and pursuing it with the vigor it deserves. As a coach we can step back from the emotional roller coaster of the ups and downs of each game or play. Granted we all have in our minds the image of the fiery coach on the sidelines, but that’s not what we’re after here. 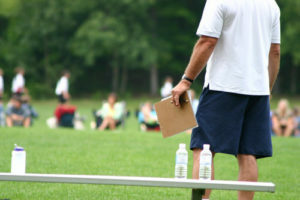 Picture more of a tennis or sprinter’s coach, watching and instructing, taking notes and examining performance. That’s the kind of coach we’re talking about. And while there’s certainly nothing wrong with feeling emotions and passion (we do plenty of that in player mode), as a coach there needs to be calm. A certain separation and removal from emotion is what allows clearer thinking and decision-making. Coaching is the outside view that allows us to step back – creating critical space between emotion, thought and action. A real world example: Throughout a given day we experience a wide range of emotions and emotional amplitudes, all of which can wreak havoc on clear thinking. Decisions are made throughout the day, on the fly, in all kinds of states of mind – angry, frustrated, tired, overjoyed, optimistic, anxious, you name it. Without the ability to step back even a little from those emotions, clarity is unavailable. So most of the time we make less than ideal decisions. The coach’s viewpoint provides the space, and clarity rushes in to fill it. In that state of mind we make much better decisions about things like how we reply to inputs from others, how we make money decisions, how thoroughly we think through problems, how much attention we pay to detail, and so on. These things are absolutely critical in determining our outcomes and results, and without clarity to make the best choices we get roughly the same poor results. Coaches take time out to make better decisions. As a coach we can see how important the fundamentals are. As a player they seem tedious and easy to skip, but a coach knows that the fundamentals are the key to great performance. Players don’t like to spend time on fundamentals and often see them as too simple to matter, and not enjoyable to practice. A coach understands that skills are built from the ground up, like any lasting structure with a strong foundation. A huge number of more advanced skills can be built on top of a strong, wide foundation. Without mastery of the fundamentals our results are inconsistent, hard to predict, and often disappointing. A real world example: One of the most important fundamental skills is discipline. Without it, it’s hard to build any other lasting skill, because it’s hard to form habits without the discipline to establish them in the first place. And without discipline, it’s no wonder people fail at all kinds of attempts at habit-forming or change. Diets fail, people can’t quit their vices, and New Year’s Resolutions become a running joke. There’s no surprise here – without the fundamental discipline people are destined to fail at these (admirable) attempts to change or transform themselves. Diet books sell by the billons, books on learning discipline not so much. And while there are certainly are a wide range of reasons for this, it underscores the way we tend to overlook the importance of focusing on the hard, tedious, boring, and absolutely critical things called fundamentals. 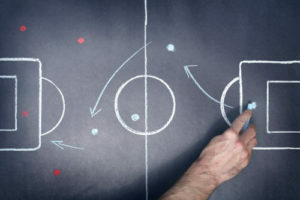 Finally, it’s important to note that when we add the coach mindset, we don’t surrender the benefits of being a player – we simply add another layer to our life. We still experience the full range of emotions, challenges, pride, passion, and victories of a player. But when we also act as our own coach, we introduce a hugely beneficial a layer of objectivity, analysis, and calm into our lives, and it completely changes the game – and our results.